If you are on the fence about whether or not home staging is worth the effort, consider that a 2004 survey by Coldwell Banker found that staged homes sold nearly twice as fast as non-staged homes. Perhaps even more impressive, these homes also sold for approximately 6% more than their asking price. (USA Today Article) Statistics like that are hard to argue with. 1. Get rid of clutter. 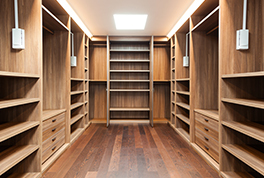 Having too many items in your space can make it feel confining and claustrophobic. It can also make your home seem much smaller than it really is. Weeding out as much clutter as possible before you start showing your home can help create a more open, welcoming space. This not only includes putting away knickknacks, family photos, and other small items but also removing any extra furniture that doesn't absolutely need to be in the space. Just be careful not to go overboard and completely empty the space. Your goal should be to find a balance between a room that is too cluttered and a room that is too empty. 2. Thoroughly clean. 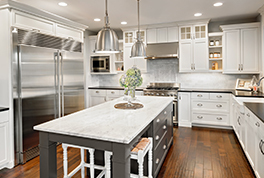 Before your home goes on the market, you should scrub every nook and cranny until the entire property is sparkling clean. 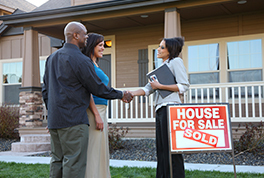 When buyers tour your home, they will be on the lookout for any signs of dirt or grime. Make sure that there are no dirty areas that could cause them to think twice about making an offer. Don't forget to address any strange or unpleasant smells. 3. Focus on curb appeal. The outside of your home is actually one of its most important selling points. By creating a warm, inviting yard and entryway, you can get more people to tour your property, improving the chances of finding a buyer. If you think about it, the outside of your home is the first thing that people see - both from the curb and when they are browsing photos online. If you really want to get their attention, you need to make your home stand apart from others. A good place to start is by weeding all of your flower gardens and trimming back any overgrown shrubs or trees. Make sure your lawn is mowed and consider adding fresh flowers in front of your house to add to its appeal. Finally, if you have a porch, clean it up and make it as inviting as possible. Consider adding a small bench, pots of flowers, or other details that will make it attractive. 4. Use lighting to your advantage. The right lighting can make your home far more appealing. For each room, make sure you have a combination of light sources including an overhead light, wall lamps, and free-standing lamps. Turn all of the lights on before showing your home to create a bright, inviting space. 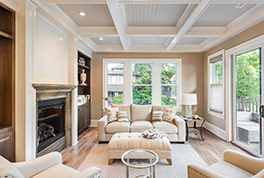 These home staging tips should have you well on your way to a successful sale. The time, money, and effort that you put into staging can help you sell your home more quickly while at the same time allowing you to earn more money from the sale. Patrick Godknecht is a successful entrepreneur and business owner. He operates an online marketing agency, PDGWorldMarketing.com which serves Local Businesses. One of the key services they offer is a Positive Review system for local business. It guarantees 10 positive reviews in 60 days. 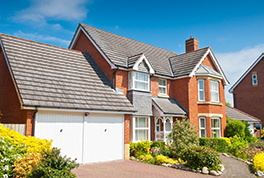 Professional and affordable online directory of properties for lease and for sale. We are pleased to provide online international real estate advertising at the most affordable price. Online marketing for real estate properties has finally become affordable enabling FSBO (for sale by owner) and real estate agents to compete with the larger real estate brokerage companies. Our self serve portal is quick and easy and most importantly very affordable. Our company is made up of high end programmers and marketers whose goal is to develop a powerful real estate website for the benefits of its members. We aim to do everything in our power to ensure the success of our registered members and website visitors. We believe in the power of old-fashioned customer service and satisfied clients' referrals. Everything we do and every upgrade we made is for one mission in mind: Helping you sell or rent your property anywhere in the world. Do you want a customized Internet marketing plan for your own website? We definitely can help since we own a web development company with many years of experience in website design and online marketing. Our team provides Internet marketing, social media management as well as offsite marketing campaign. We send quarterly newsletters and occasional promo codes for our site. Rest assured that we do not share nor sale your information to anyone.